Sam Champion, in leaving ABC's "Good Morning America" to be managing editor and a show host at the Weather Channel, called his new gig a "once-in-a-lifetime opportunity." Last year, one popular morning television show replaced an anchor in the worst possible way: By forcing her out and leaving her humiliated on her last day. Now another morning show is replacing an anchor, and the contrast couldn't be more stark. 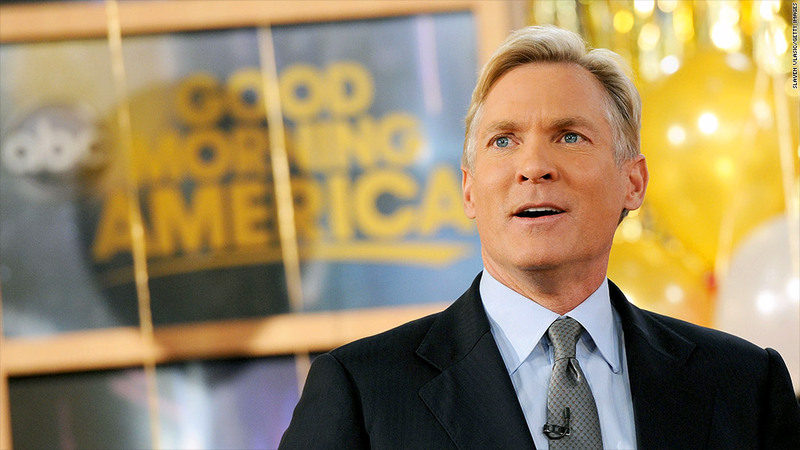 ABC, which benefited enormously when NBC's "Today" show dismissed Ann Curry, is amicably parting ways with Sam Champion. Champion has been the weather anchor on "Good Morning America" for the past seven years. On Monday, he announced he is becoming managing editor of the Weather Channel and host of a forthcoming morning show. "This is a once-in-a-lifetime opportunity for me to do what I love most at a network that lives and breathes the weather," Champion said. Champion's departure will almost certainly make some people at ABC anxious. He was one of the five anchors who, in the spring and summer of 2012, helped "GMA" topple the "Today" show in the ratings for the first time since the mid-1990s. "GMA" recently began its second year at No. 1. As Champion can attest, the relationships between anchors are enormously important in morning television -- and his removal from the equation will be an adjustment both for the other anchors and for viewers. Some portion of the audience might follow Champion to the Weather Channel. But if there's any bitterness or resentment behind the scenes, it was undetectable on Monday. The president of ABC News, Ben Sherwood, thanked Champion for his "countless contributions to our news division." At the same time, the producers of "GMA" started to plan a televised goodbye party for Wednesday. It's as if ABC absorbed the lessons of Curry's mangled departure and zigged where NBC zagged. NBC, for example, didn't televise a highlight reel of Curry's time on "Today" on her last day -- an omission that she interpreted as the last in a long series of insults by her bosses. ABC will almost certainly have a Champion highlight reel on Wednesday. Of course, the circumstances are very different this time around. NBC executives thought Curry was performing poorly on the "Today" show and decided to replace her with Savannah Guthrie. ABC executives wanted to keep Champion and made what one person familiar with the negotiations called "a generous offer" to stay. But that offer was ultimately trumped by one from the Weather Channel, which could give him something ABC couldn't -- a management role and a morning show of his own. While the negotiations with Curry dragged on for weeks in the spring of 2012, the negotiations with Champion were relatively straightforward. Champion informed ABC of his decision to leave over the weekend, and ABC moved to announce it right away, lest the news start to leak the way Curry's did. Sherwood then tapped Ginger Zee, who has been the weather anchor on the weekend editions of "Good Morning America" for the past two years and has filled in frequently for Champion on the weekdays. As Sherwood announced Champion's departure, he also said that Zee would take over for him immediately -- limiting the kind of speculation about a successor that hurt the "Today" show last year. Will Katie Couric hire help save Yahoo? On Twitter on Monday, Zee wrote to Champion: "Thank you for your guidance the last two years...you can never be replaced but I am so excited for us both in our new endeavors!" The addition of Champion is a coup for the Weather Channel, which recently gave itself a facelift and is intent on adding new programming for weather aficionados. In an internal memo, Weather Channel President David Clark said Champion would host a new, as-yet-unnamed morning show "that we have been developing and planning to launch" in the first three months of next year. A channel spokesman said Champion's start date has not been determined. The Weather Channel is partly owned by NBC Universal, so Champion's move means he could come on the "Today" show and other NBC programs in the future. An NBC News spokeswoman didn't rule that out on Monday: "We love having the Weather Channel talent appear on the platforms of NBC News, and we hope and expect that will be the case with Sam Champion in his new role with them." Talent transitions are often turbulent times for television networks, as NBC's experience with Curry demonstrated last year. But Champion's departure is unlikely to damage "GMA," partly because he is leaving on a positive note and partly because the show's ratings don't seem to depend on any single anchor. The weekly ratings for "GMA" stayed remarkably steady last fall and winter while its biggest star, Robin Roberts, was on a long medical leave. Roberts' multi-million-dollar contract was due to expire at around the same time as Champion's contract. ABC declined to comment on Roberts' status. But negotiations have been taking place in secret for months, and Roberts is on the verge of signing up for several more years at ABC, according to a person with direct knowledge of the situation. In fact, some of Roberts' colleagues are under the impression that her deal is already done. Once Champion says goodbye, attention inside ABC will turn to the future of two other "GMA" anchors: Josh Elliott and Lara Spencer. The contracts of both are set to expire early next year. The only member of the five-person "GMA" team on an entirely different contract cycle is Roberts' co-anchor, George Stephanopoulos. On Monday he wrote on Twitter, "Congrats Sam! Big adventure for you. We'll miss you!"